Now that you’ve created a great product, you may be keen to get it onto Amazon and start making sales. However, before you rush into listing your product on Amazon, it’s important to check that your product information is ready. Amazon has strict requirements regarding the product information that is published on its site. As an Amazon seller, you must ensure you follow the rules carefully to avoid having your product removed from the site. If you plan to list a product in the Baby, Camera and Photo, Computer and Video Games, Electronics, Home, Kitchen and Garden, Music, Musical Instruments, Software, Tools and Hardware, Toys and Games, or Video and DVD categories on Amazon, you’ll need to provide a standard product identifier, which can be either a UPC (Universal Product Code) or an EAN (European Article Number). This is the code that appears below the bar code on your product or its packaging. Product titles on Amazon can only be a maximum of 200 characters, including spaces. According to Amazon’s guidelines, it’s best to use no more than 50 characters. If your current titles are too long, you’ll need to shorten them, or risk them being cut off by the system. Make your title match other products on Amazon by capitalizing the first letter of each word in your title and avoiding the use of ALL CAPS. Following these guidelines will help your product title look professional when it appears on the Amazon site. Amazon requires all information provided on the product detail page to be accurate and relevant. Don’t include testimonials from your customers or time-sensitive information. You’re also not allowed to ask Amazon customers to review your product. Stick to describing the product in detail. Why Provide Comprehensive Product Information on Amazon? In general, it’s important to include as much information as you can about a product when you list it on Amazon. Detailed information allows customers to compare your product with others on the site. If you leave your product information page very sparsely filled out, customers may be unable to tell whether your product meets their needs, which could result in them choosing to purchase a similar product that is described in more detail. Remember that Amazon is a great platform for selling your product to a large number of people, but it’s also a place where you’ll face a lot of competition from other sellers. Don’t let incomplete product information cause your listing to lose out to competing brands. If you don’t update your Amazon product information when you make a change to the product, customers could be disappointed when they receive their Amazon parcel in the mail. Amazon makes it very easy for disgruntled customers to leave negative reviews, which can push your product listing down in the search results and category pages. This will make it less likely that customers will buy your product in future. Avoid this outcome by always ensuring your Amazon product information is accurate and up to date. A product information management (PIM) system makes it easy to manage product information for your entire range of products. You can keep all your product specifications, prices and descriptions in a single location, which makes it easy to update information for many product variants at the same time. You can then export this updated information to Amazon to ensure you meet the requirements of the site, as well as the high expectations of your Amazon customers. 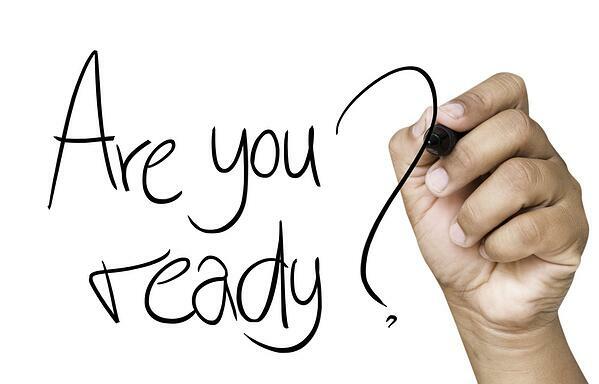 Would you like to know much more about making your product data ready for Amazon? 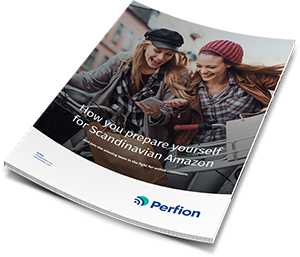 Download our white paper ‘How you prepare yourself for Scandinavian Amazon’.